One of the greatest artists of our time is slowly coming out of her years-long reclusive state and bringing her show to Charlotte. 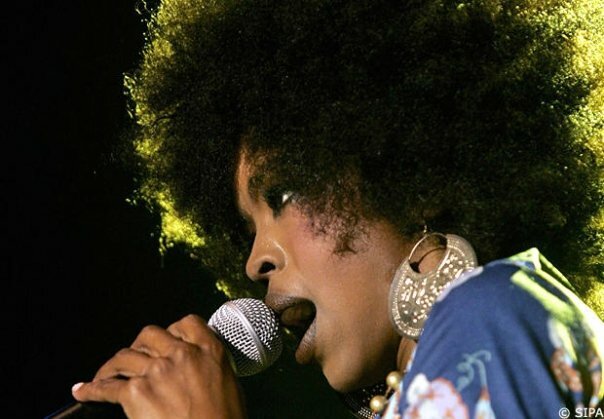 The incomparable Lauryn Hill will perform at Amos' Southend on Saturday, January 8. What an awesome way to start the New Year. I'm a huge Lauryn Hill fan, but as a fan I haven't had much to go on the last several years. I still pop in The Miseducation of Lauryn Hill on occasion, which was was released in 1998 and was part of the soundtrack to my freshman year in college. As you know, that was Hill's first and only studio album as a solo artist, following the success of her supergroup The Fugees' second album, The Score, in 1996. Both of those albums are undeniable classics and reached the kind of ridiculous multi-platinum statuses we'll never see again from hip-hop and R&B albums, or any other genres for that matter. So it's been 12 years since we got a new studio album from Ms. Lauryn Hill, which is how her new East Coast tour is being billed on Ticketmaster. Dates for shows in Boston and New York were announced earlier this month. And it came as a pleasant surprise when Charlotte was added among the handful of cities yesterday. She'll play here on January 8 and the following day at The Orange Peel in Asheville, then at Music Farm in Charleston on January 12. The video for "Ex-Factor," one of my favorite songs by Lauryn Hill. Hopefully Ms. Hill does better than she has in recent shows, in which she's a cancelled a few dates or reportedly shown up late. And it's not particularly a good thing that her Charlotte show was announced less than three weeks before it's scheduled to take place. I don't think it'll be difficult for her to sell out Amos' though, considering all of the people who will be looking forward to seeing her perform live in person for the first time in their adult lives. Tickets are $55 in advance and went on sale this morning. I'm rooting for Lauryn Hill's comeback. Music needs her. And every artist from Kanye West and Drake to Beyonce and Alicia Keys will tell you how much she influenced them. There has yet to be another artist who is as equally talented as both a singer and rapper as her. Maybe after a great run of shows in 2011, she'll finally give us another album. You can get showtime details and purchase tickets by visiting amossouthend.com or by going directly to the Etix link where they're being sold. Oooh, a bit pricey but Lauryn is worth it. I hope she is on her A game.